French Polynesia is a paradise, for vacation and for photography. You have multiple options for great photography. 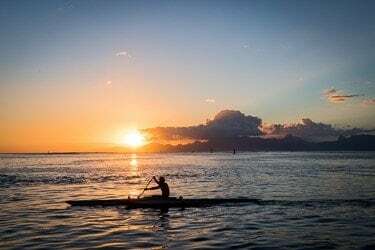 This guide should help you to get a bit of orientation on the 118 islands of French Polynesia, the Tahitian Islands, and get the most of your photo trip. French Polynesia and especially the Society Islands are comparable to the Hawaiian Islands. The climate is similar, warm and wet. Also some parts of the islands look similar, but there are also a lot of differences. The volcanos are not active like on some of the Hawaiian Islands, but there are ring reefs around nearly every island. 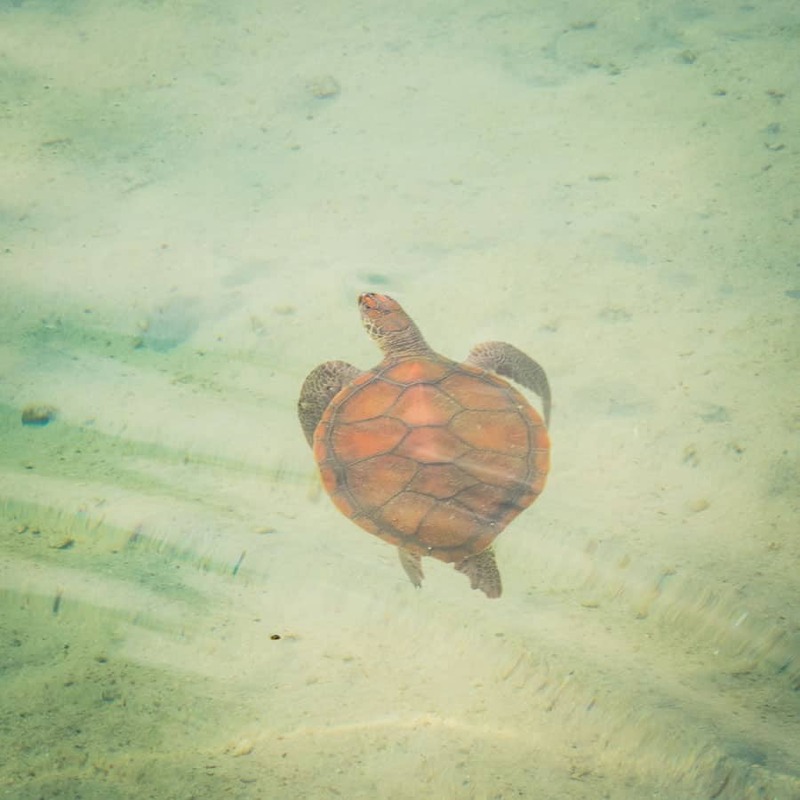 There are not big waves crashing on the islands, but you have beautiful, calm lagoons with a lot of marine wildlife and a lot of small islands in front of the big islands. 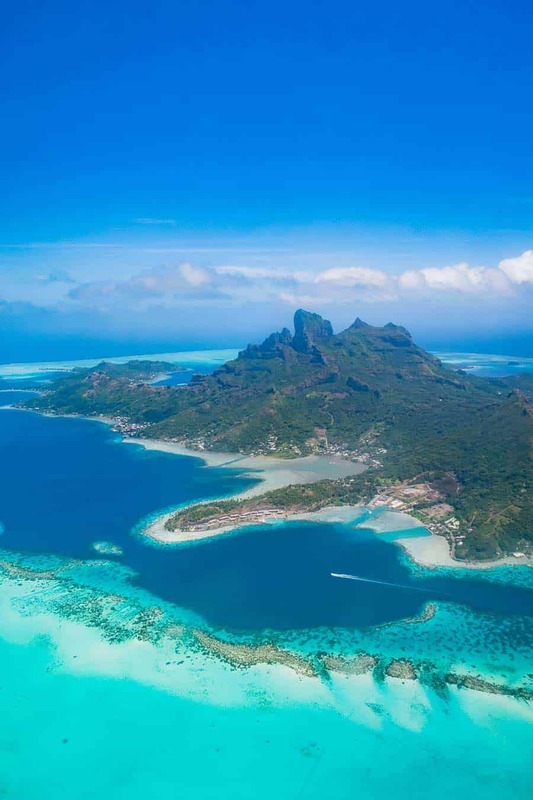 The most known islands are Tahiti and Bora Bora. You can reach the international airport on Tahiti only from a few airports in the USA, New Zealand, Japan and Chile or from a few Pacific Islands. The Islands are also a bit isolated and you do not have many options to get there. Because there are only a few airlines the flight prices can be expansive. If you are on Tahiti you may have to get an inland flight to the ohter islands. There are also some cruise ships which go the Islands of French Polynesia. The best way for photographers to stay there is to be on a boat. There are a lot of providers of cabin charters. This is a great possibility to discover the Islands and the under water world. The provider will bring you to snorkelling or diving spots depending on what you have booked. 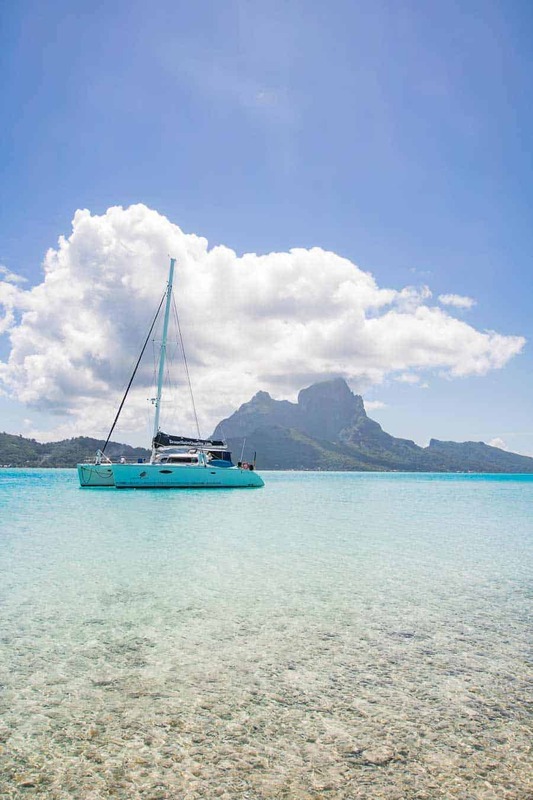 Most time you will stay in a lagoon where the water is calm, but if you are going to another island you may have cruises from 4-5 hours where the sea can be rough. If you are looking for a boat be sure it is not too big. Cruise ships cannot enter certain parts of the lagoon and in smaller groups you have more time for photography. French Polynesia is famous for its luxury hotels. If you can afford this you will have a nice time there. If you are on a budget check out AirBnB or look for pensions. You can find there some nice offers which are not too expansive. 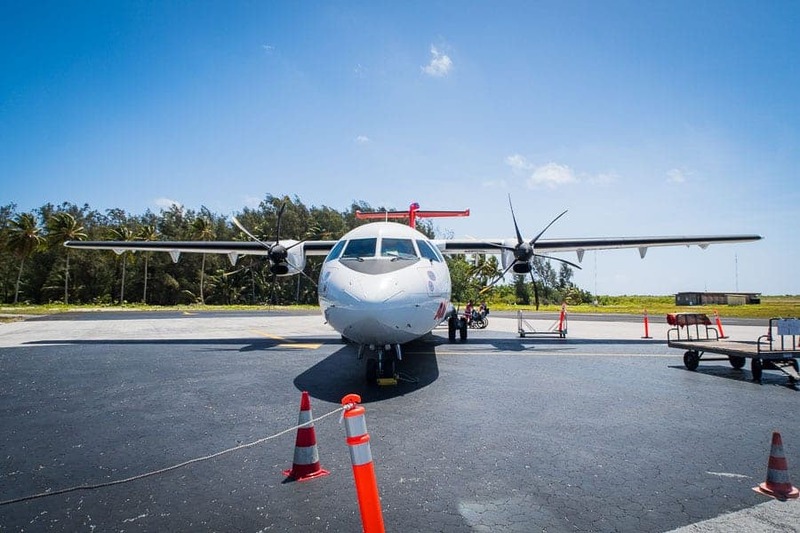 To travel from island to island you can usually go by plane. There are also some ferries when you want to travel between island that are not so far away from each other. If you are longer on a bigger island you should rent a car. The public transport is most time bad and as a photographer you need some freedom. It is also possible to rent motorbikes but the roads are sometimes wet or covered with leafs. On smaller Islands you should consider to rent a bicycle. On Bora Bora for example the road is most time flat (only one bigger hill) and you can do a roundtrip even if you are not in shape. On the islands you have many different things to photograph. Landscapes are really great and in the lagoons you can see a lot of wildlife. Depending on what you want to photograph you can bring a lot of gear with you. Under Water Camera gear Must have. 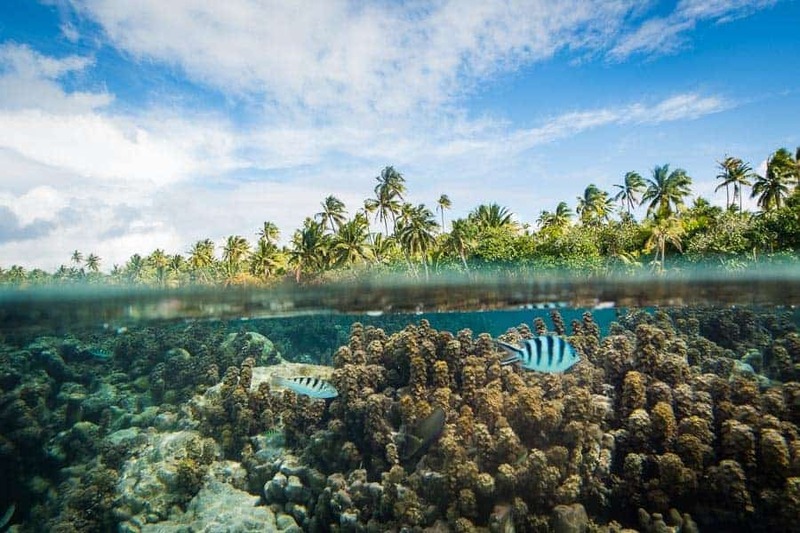 French Polynesia is a perfect spot for underwater photography. You plan to come to the island bring something that you can use under water. Check this or this article for more information. (10-20mm) Good for landscapes, you can often use a wide angle in a lot of situations. (24-70mm) Also good for landscapes. Sometimes you need a smaller field of view and zoom in a bit. (70-200 or longer) Can be useful if you want to photograph wildlife. Tripod Can be useful if you want to do astrophotography. Drone Build for French Polynesia. If you have one bring it with you or consider to buy one. Dome Port A dome port is a plastic bowl cut in half to make half underwater pictures. You can buy it for action cams but also for DSLRs. French Polynesia is perfect for underwater photography. No matter if you want to dive, snorkel or photograph surfers. You can see different water animals like tropical fishes, sharks, whales, rays, dolphins or turtles. Maybe it is the easiest way to explore the underwater world. 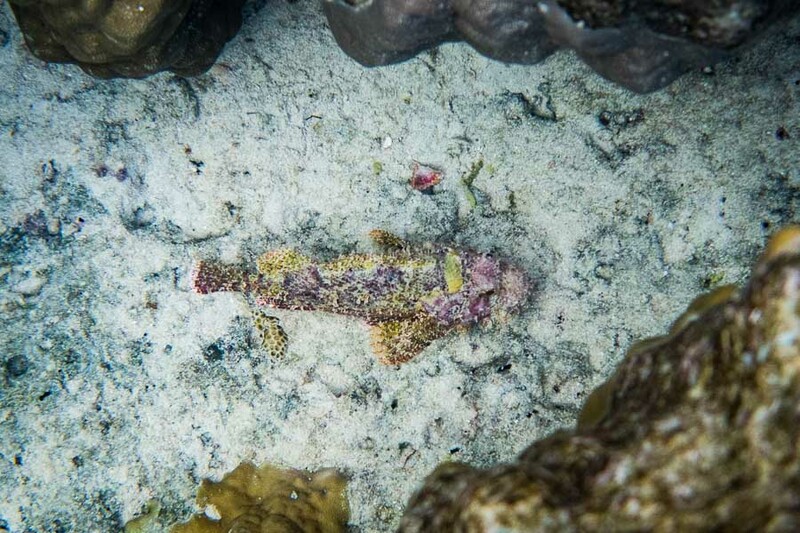 There are a lot of beautiful snorkelling spots where you can see a lot of fishes, but you sometimes have to know where they are. Some spots are next to the hotels but for some you have to go by boat or book a tour. 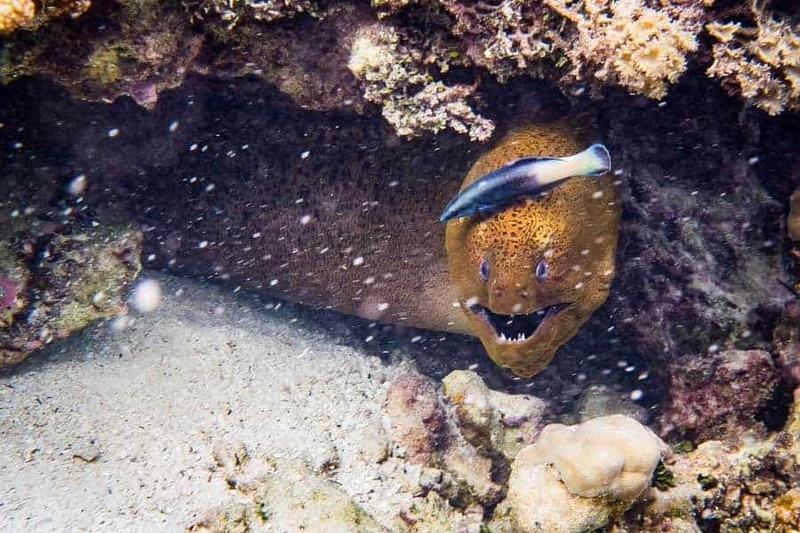 Keep in mind that snorkelling could be dangerous if you go by yourself. There can be sharp rocks, poisonous fishes and corals or other boats. The water can be cold if you are in for a long time and you can get a bad sun burn on your back. If you love to scuba dive there are also great spots for you. Some of the deeper parts of the reef can be reached by divers. A famous diving spot is also the atoll of Rangiroa. You can observe different water animals like sharks or rays. 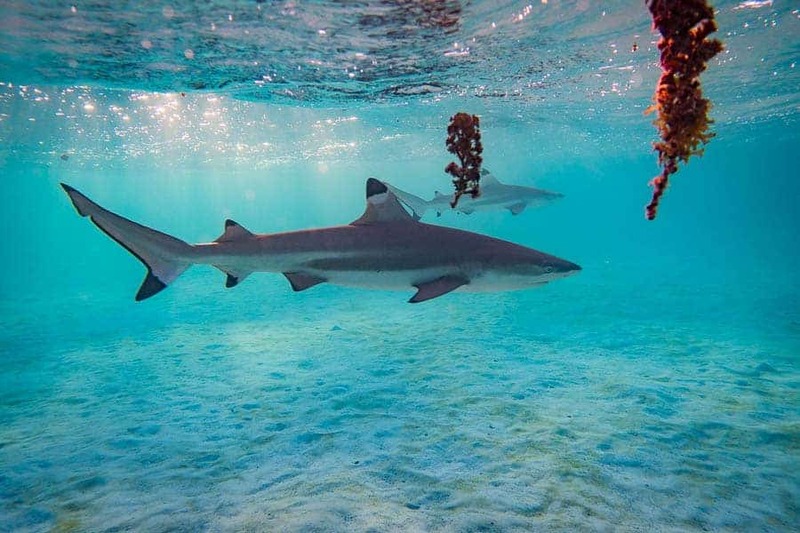 In the lagoons you have a good chance to see and photograph sharks and rays. 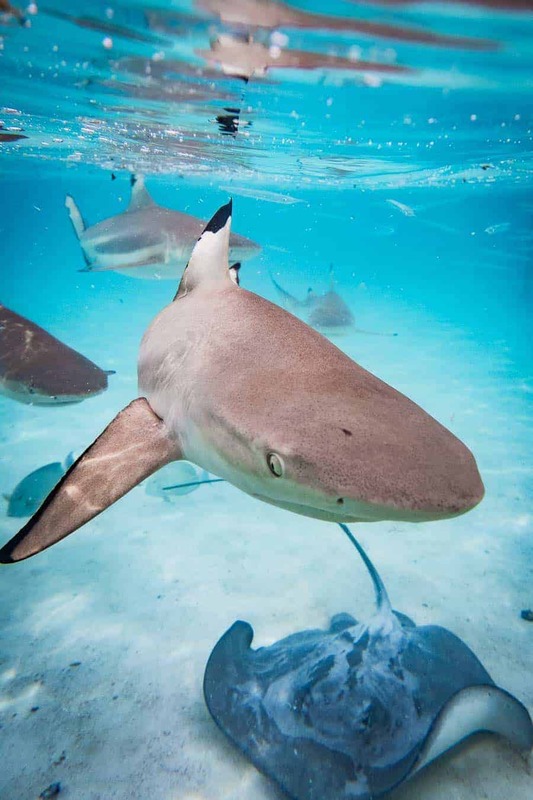 The sharks are most time blacktip reef sharks. They can be 1.6m (5.2 ft) long and are not dangerous for humans. 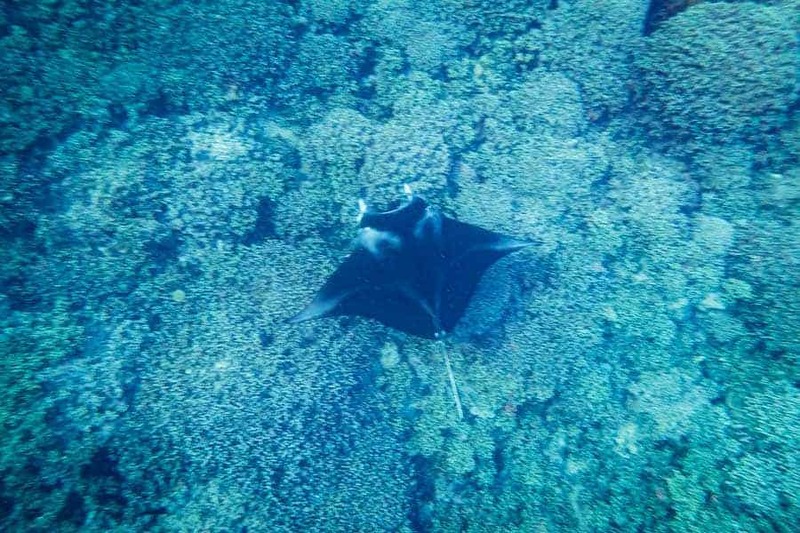 You have also a good chance to see sting or eagle rays in the lagoon. If you want to photograph them I recommend visiting a shark and ray feeding spot. This is a place in the lagoon where you can stand in the water up to you hip and if you have booked a tour the guides will attract the shakrs and rays with fish. You can stand in the water or dive down and take easily beautiful pictures of blacktip sharks or sting rays, but keep in mind that they are wild animals. You have also the chance to see manta rays or bigger sharks like lemon sharks. If you would like to see them you may have to book a tour because they appear only on certain spots regularly. It is possible to see different whales and dolphines. For some species you need luck but some can be observed often. In the winter of the southern hemisphere you have a good chance to see humpback whales. From July to October they stay arround the Islands. The Island Moorea is a famous starting point for whale watching tours. 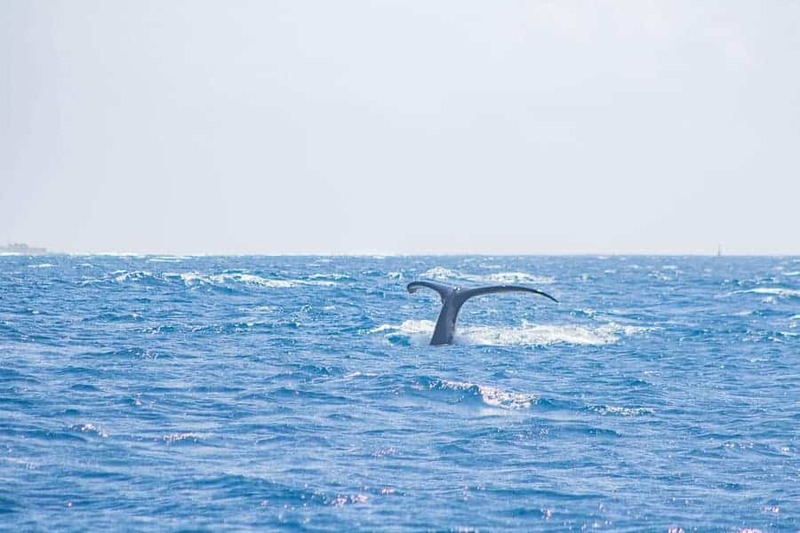 They can sometimes be spotted from the beaches but you can also book whale watching tours in this time. If you are a photographer you may want to book a tour where you go swim with these giants. All you need is snorkelling gear. You also have a chance to see other smaller whales during the whole year. You have also a good chance to see different species of dolphins, when you are on a boat. They can be often spotted in the lagoon our near the lagoon in the open sea. There is also a lot of other, smaller marine life, which you can photograph. Many different tropical, colourful fishes can be photographed in the coral gardens in the lagoons. 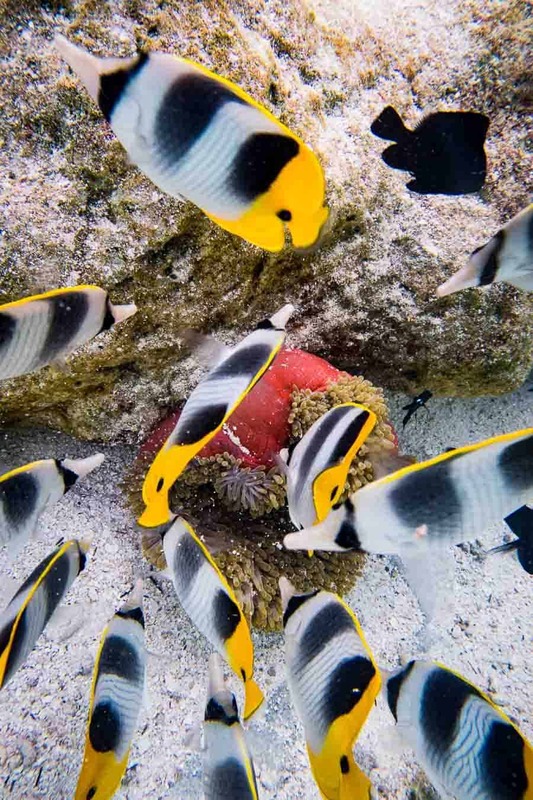 You can also photograph sea anemones, turtles, crabs or octopuses and you do not need to scuba dive, most time you can photograph these things just by snorkelling. The light and air pollution in French Polynesia is very low. This means you have dark nights and if there are no clouds a clear sky. The Milky Way is also better visible from the southern hemisphere. If you are outside of a town you have a good chance to make beautiful Milky Way or astro pictrues. On the bigger islands you have tropical forest nearly everywhere. This means you can have a hard time finding a good photo spot because plans are everywhere. If you want to see a bit of the inside of the island you may also have to book a tour because a lot of the roads are dirt tracks and you need an off road vehicle. Some of the photo spots can only be reached with a guided tour. The bigger islands have beautiful and prominent mountains. These are also great motives. Drones are made for French Polynesia and French Polynesia is made for drones. You have many different things that look great from up above. The water has many different shades of blue. You can see a dark blue in the deep ocean up to a light turquoise in the lagoons. Combined with the dark green of the palm forest and the yellow of the beach this makes beautiful compositions for drone pictures. Also the smaller motus are great for aerial photography. The small islands are a good contrast in the blue of the ocean. From some motus there are build over water bungalow build into the lagoon. These manmade structures are also a great drone motives. Everything that swims in the lagoon and is big enough is also a great motive. This can be a sailing boat, a swimmer on a air mattress or bigger fishes like sharks and rays. At the shark and ray feeding spots you can make really awesome pictures of a boat or a person in the middle of sharks. All you need is a flat place on the boat where you can start your drone. Unfortunately I did not find good information about the drone regulation. I ask at Tahiti Tourisme, the official tourism office for French Polynesia, and the told me, that the French drone laws also apply for French Polynesia, New Caledonia and Wallis and Futuna. You can find the laws (in French) on the Ministery of Transportation website. There is also a map with no fly zones but it does not cover the French oversea territories. If you go there check out the rGPS App. There are some spots also for French Polynesia in the app. The morning is perfect for photographing the sunrise. If there are some clouds in the sky you can get great light. The morning is also a good time to go snorkelling. You have a good chance to see some animals which are night active and hide in the morning. You have more light than in the night and do not need special underwater flash gear but you sometimes have to use a high ISO. During the day you can have fast changing conditions especially on cloudy days. The clouds can move fast and can make everything really dark. Nevertheless during the day it is the best time for underwater photography. The water is clear and you do not get harsh shadows underwater. You can operate with smaller aperture and faster shutter speed even a bit deeper under water. The time in the evening around sunrise is great for landscape photography. You can have a beautiful colourful sky and if there are clouds they can have all shades of red. The evening is also a good time for underwater photography. If you do a guided tour check if they come back late so you have the beautiful light underwater. The night is great for astro photography. If the sky is clear you will see a lot of stars. If you find a dark spot you can make great astro photos. If you have experience it can be interesting to make underwater pics at this time. You can see many animals that are only night active but you will need some under water flash gear. There is only one season in French Polynesia, summer. It is every time warm, but there is a dry season and a rainy season and there are some differences. The dry season is from March to November. The temperatures are usually between 21 and 27° C. In this time you do not have much rain but the weather can be really wet some times. The water gets also a bit cooler. The rainy season is from December to February. It is a warmer (25 to 35° C) but it is also much wetter. During the rainy season the vegetation is greener and you can have a lot of rain. As a photographer you maybe should avoid this season, if you would protect your camera gear. In this time of the year the water gets warmer.